Though many believe that people dream in black-and-white, others want to find the meaning of colors in dreams. Unravel some of the mysteries of dreaming as you explore popular associations with colors, and what those hues may mean. Do people dream in color? According to dream educator, Richard Wilkerson, researchers believe that most dreams are in color, but many may recall them in black-and-white or gray tones because the intricate details of dreams tend to fade very quickly. Dreaming is quite visual in nature, but those who have heightened awareness of color during waking hours may be more likely to recall their dreams in color than their less color-aware counterparts. This signifies that the meaning of colors in dreams is of great significance, especially for those who usually recall dreams in black-and-white. You can take a few different approaches in determining what colors may mean in your dreams. Resources include dream analyzers, glossaries and books on dream interpretation. Dreams can't be captured or encapsulated; they are subject to the filter of consciousness, which makes them difficult to study. However, some fascinating studies about dreams and color exist. According to Aisling Dream Interpretation, each color is significant in dreams. Dark colors are negative forces while light colors tend to be positive. For example, blue represents philosophy; dark blue relates to negative outlooks on life, and light blue relates to hope and faith. The colors black and white play significant roles in dreams because they have their own meanings, but they also have influence on other colors as well. White "purifies" other colors, and black adulterates them. Black and white together may represent extreme beliefs or perception (thinking in black-and-white terms). Things are either good or bad; there is no in between. The images and events in the dream play a significant role in interpreting the meaning of colors. For example, a yellow shade can represent energy in some dreams, but it can mean illness or betrayal. Red is another color that represents many different things, ranging from violence and blood to shame and fatigue. That said, interpreting a dream using color alone may yield inaccurate results. It is important to consider other dream symbols, and your personal relation to the colors you dream. The Significance of Color in Dreams takes a fascinating look at the relationship between color in dreams and physiological and emotional responses to color in waking states. 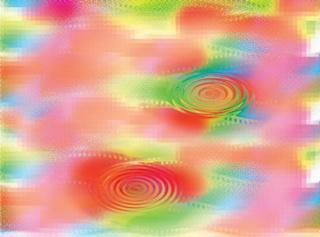 Since "seeing" color in dreams is very much a matter of recall, it may be likely that the dreamer may recall color as it relates to the most emotional elements of the dream. Just as colors have meanings in waking states, they do in dream states. Furthermore, just as the body has physiological responses to colors (blue is relaxing and red makes heart rate increase), these same elements may come into play in dreams. Robert Hoss M.S., the author of "The Significance of Color in Dreams" notes that color is a dream symbol, like other dream images are. According to Hoss, color complements other dream images to offer an emotional picture of the events. Color may be a critical piece in the dream interpretation puzzle. The act of interpreting a dream is highly personal, as each individual has unique experiences and perceptions. Dreaming experiences are greatly subject to waking experience. People born without sight do not experience visual images in dreams, and those who lack awareness of the visual experiences they have during the day may have fewer colorful dreams. Heightening your awareness of the colors and visual stimuli that surrounds you every day might in turn heighten your awareness of color in dreams. The meaning you take from the colors is subjective, but can offer insight into your dream experiences.